Books, as many of us know and love them, have been ducking threats of extinction for some time now. Of course, I don’t mean stories, or literature; there will always be dreamers and authors who delight readers with their imaginative, thoughtful words. I mean printed books – physical jackets and bindings and pages filled with wonderful words. You know, the kind that your parents read aloud to you while cradling you in their laps; the kind you hid under your covers with a flashlight to devour as a child. Happily, despite early predictions that printed books would become less favorable when compared to budding technologies, they have actually remained resilient amid the rise of tablets and e-books flooding the literary market. Now, book traditionalists have discovered a new secret weapon to store in their arsenal: 3D printing. 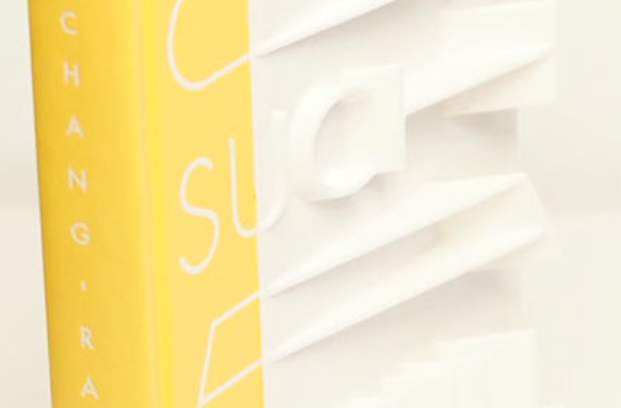 The first-ever 3D-printed book cover was just released from Riverhead Books, a partner of Penguin, and it is remarkable. 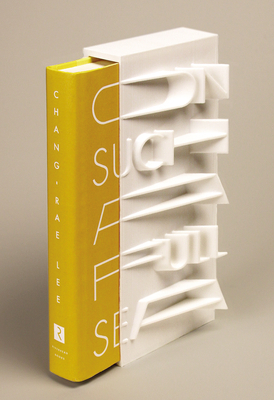 The 3D-printed cover of Lee’s novel, which the New York Times describes as “marvelous” and “masterful,” pays a stunning tribute to the story within, and engages the reader in an artful, exciting experience before even opening the book. Or, as the author eloquently explains, the slipcover “re-introduces the idea of the book as an art object,” something that book-lovers simply cannot gain from a digital version of their beloved stories. On Such a Full Sea, a fantastically detailed dystopian satire, is complemented wonderfully by the futuristic, sleek 3D cover that Yentus designed. She was thrilled to have access to such burgeoning artistic technology, and feels that this transition into detailed, artistically innovative covers could prove to be incredibly valuable for the future of printed books. The art world has been influenced by technology more and more in recent history, and this is a brilliant example of what can happen when art, technology, and a passion for books collides. Andrew Sean Greer for The New York Times explains, “Lee has always been preoccupied by the themes of hope and betrayal, by the tensions that arise in small lives in the midst of great social change.” Great changes are indeed happening right now as books fight for their place in our ever-changing culture. As publishing companies take a more artful approach to producing books, perhaps the lifespan of printed literature will be prolonged, and even widely celebrated once again.